Year after year we continue to be impressed by the changes we see in campers. Making new friends, gaining independence and resourcefulness, and facing new challenges are only some of these changes… certainly these gains aren’t limited to summer. Whether you are a new family preparing to go to Clearwater for the first time, or a returning parent or alumni looking for strategies you can use to support the gains your daughter has made over the summer, please look through these pages for ideas! 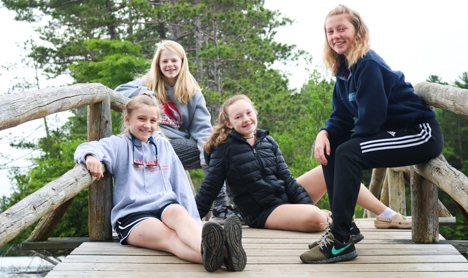 The Parent Handbook contains a calendar of important dates, transportation information, packing list and luggage information, camp policies, financial policies, health care, preparing for camp suggestions and area lodging, to name a few. We hope you find it beneficial to have all this information in one place. Wondering about how to prepare for an overnight camp? You aren’t alone! Every new camper and their parents have wondered the same thing. Any new experience is a combination of excitement and anxiety about the unknown. 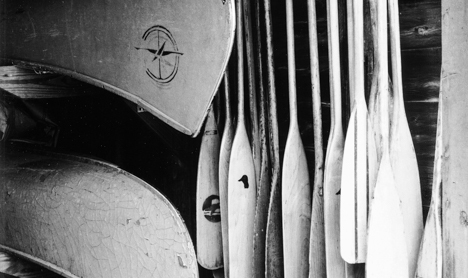 There are many strategies you can use to help prepare your child for overnight camp. This is a case where practice helps! Slumber parties, a weekend at a relative’s house, or any other night away is a step toward your child building confidence in her ability to sleep away from home. It can help your daughter understand what it’s like to be out of her routine, even a little. How does her friend’s family eat dinner? Does her friend brush her teeth before or after reading time? What is it like to do things outside of her own routine? Being away from home can give your daughter a chance to experience feelings of missing home, practice coping skills, and then talk to you about the whole experience. 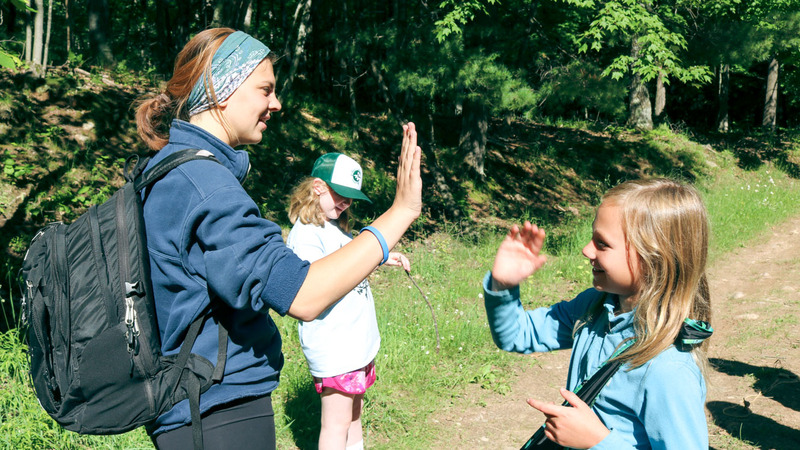 It isn’t surprising to hear that studies show a child is much better prepared for the transition to camp if they have a positive attitude and is also involved in making the decision to attend. A child should feel excited about summer camp, not forced. Keep your child involved in the process of picking camps and share as much information about the camps as possible. Knowing the schedule, activities, sleeping arrangements, location of the dining hall… these all can contribute to a child’s sense of control over the situation. Knowledge is power! If you or your child have any questions about what Clearwater is like, please ask! Talking to someone from camp can be helpful too! 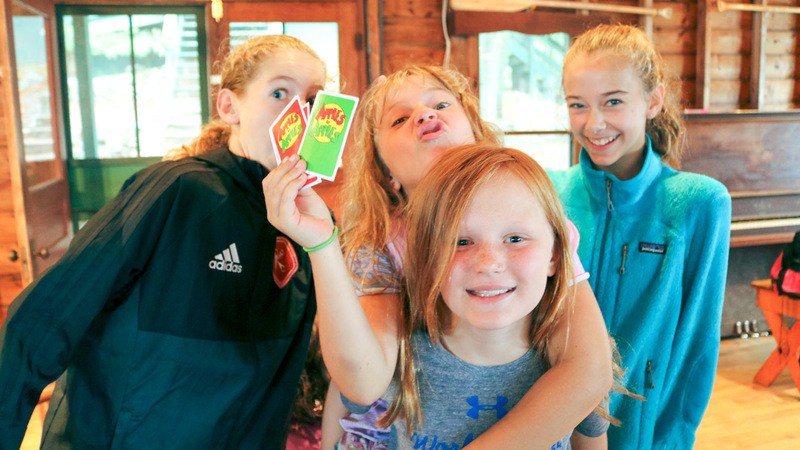 We can connect you with a camp family or staff member in the area who can answer questions in person or over the phone! Your child will miss home. That is completely normal. Your child will miss home, as so many of our campers and staff members do each summer. Letting your child know that it is normal to miss home can lead to a conversation about coping strategies and help them to be open about their feelings. Strategies might include looking at a family photo, writing a letter home, or staying occupied with an activity they like. On the other hand, a child that has your support in their belief that she will be hopelessly homesick is much more likely to feel that way. It is important to normalize missing home, but not to set an expectation that it will be overwhelming or overpowering for them. Missing home is a small part of the experience. Remember, camp is going to be really, really fun! You will miss your child. That is also completely normal. You might be having a harder time thinking of your child being away for the summer than your child is. You wouldn’t be the first parent to feel that way. Missing your kids is definitely to be expected and the way that these feelings are shared can help your child ease into their first time at camp. Studies have shown that kids who report high perceived levels of parental anxiety often have harder times being away. If you need support, look to peers, other adults, or even ask us for a name of a nearby camp parent to talk with. 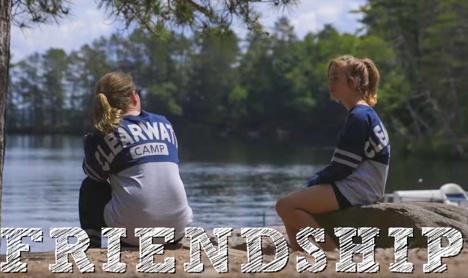 At Clearwater we have seen thousands of campers who miss home to varying degrees. Based on decades of experience, we have found two things to make homesickness worse. The first is that phone calls home almost always make the camper more upset. Calling home seems to give the camper a glimmer of hope they can leave, hear that their parents miss them terribly, and take them out of the community that we are trying hard to encourage them to join! Of course, if there is ever any medical issue or other serious situation with your daughter, we will let you know! The second thing to avoid is making a “pick up deal.” Don’t promise your daughter you will pick her up if she doesn’t like camp. Instead of being reassuring, this can lead to a camper resisting coping strategies in order to feel ‘bad enough’ to get picked up. 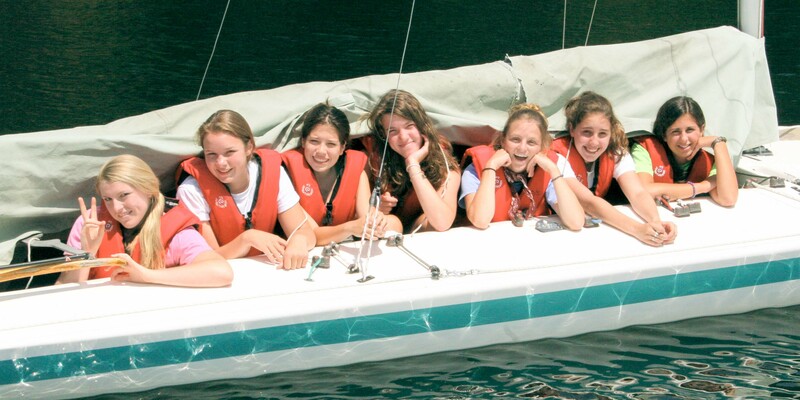 Our goal is for your daughter to have a stellar time at camp! Our staff members are well-trained and many of them were campers themselves, which uniquely qualifies them to relate to campers about missing home. Here are some links to helpful resources on preparing for summer camp, strategies about missing home, and other helpful tips! Again, please contact us with any and all questions about Clearwater! Essentials of Homesickness Prevention by Chris Thurber, Ph.D. When is a Child Ready for Overnight Camp? Please let us know if you have any questions! Although missing home is common, it is unusual that it seriously impacts campers’ experiences. We would love to talk with you more if you are concerned about your daughter’s experience!